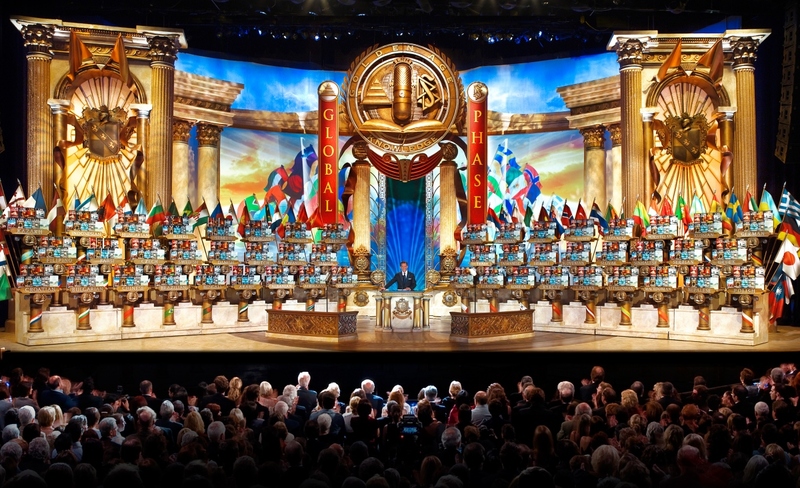 How many Scientologists are there in the world, and in the U.S.? And is Scientology gaining or losing members? These questions may seem simple, but aren’t. First, the answer depends on how a “Scientologist” is defined. Scientology’s constituency may be described as made of concentric circles. A core circle of “members” regards Scientology as its primary religious identity and devotes to the religion a substantial amount of time. Another circle includes those who visit Scientology center (“orgs”) with some regularity. And there is a larger circle of those who only visit an org occasionally. From a certain point of view, there are problems of defining “members” peculiar to Scientology. But on the other hand, defining “members” is not easy with respect to many other religions. For instance, the Catholic Church releases world statistics based on those who have been baptized. However, many leave the church after baptism or become inactive. In Italy, 97,9% of the population has been baptized into the Roman Catholic Church (Introvigne and Zoccatelli 2013, based on data supplied to CESNUR by the Statistical Division of the Italian Catholic Bishops Conference), but those regularly attending Mass are around 18% (Introvigne and Zoccatelli 2010). The Italian Catholic Church itself, since the year 2000, acknowledged that its official statistics refer to a “baptismal community,” while the “eucharistic community” (i.e. those in fact attending Mass) is much smaller (Conferenza Episcopale Italiana 2000, n. 46). Even if an agreement would be reached on how to define a “member” of Scientology, counting would not be easy. Although not impossible, a detailed count would require the cooperation of the Church of Scientology, independent auditors, and scholars. In 2006, the Italian Church of Scientology “called a census in order to determine which associated parishioners could actually be regarded as such. The census results were published in 2007 within the National Association and were communicated to its executives” (Chiesa Nazionale di Scientology d’Italia 2011, 82). These results were made public in 2011 (Chiesa Nazionale di Scientology d’Italia 2011). The methodology used appears to be persuasive, but the data are now more than ten years old. In 2014, the Church of Scientology sponsored a study by Florida State University scholars on the economic impact of its headquarters on the Clearwater area (Harrington, Niekus, and Glassner 2014), showing that the number of Scientologists moving there because of the church’s presence or visiting was both substantial and growing. Not unexpectedly, anti-cultists dismissed the report as propaganda, both because it was sponsored by Scientology (which was clearly indicated) and the authors worked on figures supplied by the church and its accountants. However, the authors were respected scholars and on what other figures they might have worked was not explained. Anti-cultists and ex-Scientologists offer occasionally interesting comments, but they often extrapolate and generalize from micro data. A completely different matter is the fake news spread by some anti-cult sources, and repeated uncritically by mainline media, Wikipedia, and even respectable scholars. A case in point is the article “Growth and Challenges of Scientology” by Brian Schmied, published by the International Policy Digest in 2013 (Schmied 2013). Here, we are beyond opinions and firmly in the realm of fake news. Schmied writes that “the American Religious Identification Survey (ARIS) found a strong decline from 55,000 to 45,000 members between 1990 and 2001.” Schmied does provide a link. The link, however, resolves on the table comparing the ARIS surveys for 1990 and 2001 as reproduced in an anti-Scientology Web site. This is not the worst part of Schmied’s article, as the anti-Scientologists did not tamper with the original source, although it would have been preferable to quote it directly (Kosmin, Mayer and Keysar 2001, 13). However, by reading the table, one discovers that Schmied, we don’t know whether because of malice or incompetence, had it all wrong. In fact, the table shows exactly the contrary of what Schmied claims. The figure of 45,000 members refer to 1990 and the one of 55,000 members to 2001. By his own criteria, Schmied should have mentioned “a strong growth” rather than “a strong decline” Unfortunately, Schmied keeps being quoted. Even a senior and serious scholar, Hugh Urban, in a recent article (whose main topic is not Scientology statistics) mentions Schmied as if it was a reliable source (Urban 2017, 35, note 86). Urban also mentions that “the Church’s numbers had plummeted from 55,000 in 2001 to just around 25,000 in 2008” (Urban 2017, 27). This is footnoted with a reference to Schmied. However, the reference to “25,000 in 2008” does not come from Schmied. In fact, Schmied wrote that “the American Religious Identification Survey (ARIS) found a strong decline from 55,000 to 45,000 members between 1990 and 2001, but mysteriously their survey fails to report its findings on minor religions in its 2008 survey” (Schmied 2013). Rather than from Schmied, the often cited claim that the American Religious Identification Survey found only 25,000 Scientologists in the U.S., comes from an article in the New York Times written by Fred A. Bernstein in 2010 and claiming that “the American Religious Identification Survey found that the number of Scientologists dropped to 25,000 in 2008 from 55,000 in 2001.” On the basis of Bernstein’s article, at the time of this writing Wikipedia still reports that “the 2008 American Religious Identification Survey found that the number of American Scientologists had dropped to 25,000.” The reference, in fact, is not to the ARIS survey but to Bernstein’s article. Unfortunately, several scholarly studies also report the figure of 25,000 as if it came from ARIS. In fact, the American Religious Identification Survey did not “find” this figure. Its report about 2008 was published in 2009 and is public (Kosmin and Keysar 2009). In this report, the number of American Scientologists is not mentioned, and there is nothing “mysterious” about it. The report clearly explains that it no longer counted Scientologists autonomously but included them in a larger category of “new religious movements and other religions,” including “Scientology, New Age, Eckankar, Spiritualist, Unitarian-Universalist, Deist, Wiccan, Pagan, Druid, Indian Religion, Santeria, Rastafarian” (Kosmin and Keysar 2009, 23). The general figure for this category was actually growing, from 1,7 in 2001 to 2,8 million in 2008 (Kosmin and Keysar 2009 5) and one can speculate that Scientology was a component of this growth. Where did the information of the New York Times come from? The source was the message board of an anti-Scientology Web site where, on March 28, 2009, somebody called Plockton claimed he gave a call (or wrote) to the American Religious Identification Survey team and was told that the figure for Scientology was 25,000. However, “Plockton” was also told that these were no reliable data (and this is why they did not publish them). “Plockton” reported: “Should you conclude from this data that Scientology membership has more than halved between 2001 and 2008? NO! Again, there is a significant chance of error ([...]possibly as much as +/- 40%) in the results for religions of such small memberships” (“Plockton” 2009). In the same page, anti-Scientologist Hartley Patterson, who has an obsession of sort in “proving” that Scientology loses members, commented that the American Religious Identification Survey's non-published figure (whose only basis, again, was an alleged private communication between somebody in their team and an anti-Scientologist) was based on interviews with “half a dozen Scientologists” only and, as such, not very useful. Patterson, in the same post, implied that the figure had become somewhat “official” by being reproduced in the Web site of the U.S. Census Bureau (“Hartley” 2009). This was, again, inaccurate. He gave a wrong link (or perhaps one that has expired in the meantime) but the table is still in the U.S. Census Bureau’s Web site and does not mention Scientology at all. It is well-known to scholars of new religious movements that general surveys such as ARIS, valuable as they may otherwise be, are not a valuable tool for assessing membership in smaller religions. ARIS interviewed in 2008 54,461 respondents (Kosmin and Keysar 2009, 2). This is certainly a valid sample for assessing trends in the numbers of the largest religious bodies, but not adequate to assess with any accuracy the membership in smaller groups (and tis quite apart from the crucial problem of how a “Scientologist” is defined). ARIS admits this itself. Did “Plockton,” or somebody else associated with anti-Scientology Web sites, talked to the ARIS team in 2009? Perhaps yes. But what were they told exactly? I raised the question with the principal author of the ARIS reports, Professor Barry Kosmin, Director of the Institute for the Study of Secularism in Society & Culture at Trinity College in Hartford, Connecticut. He wrote to me that “we never reported adherent figures for small religious groups in ARIS 2008 because of their unreliability. We were approached by several scholars and media outlets interested in Scientology. Our informal response – caveat emptor- was that our data suggested 25,000 +/- 300,000” (Kosmin 2017). A tentative range between 25,000 and 300,000 got transformed into a firm “25,000” by “Plockton” and his friends, and the figure of 25,000 was accepted at face value by journalists and scholars. In this way, the number of 25,000 Scientologists that the anti-Scientologists themselves described as most probably inaccurate, after having misinterpreted or distorted communications from ARIS, traveled from one of their message boards to the New York Times and from there to Wikipedia and articles by respected scholars, where it was treated as a fact. These comments, obviously, do not solve the problem of how to calculate the number of Scientologists, nor were they intended to solve it. They only show that fake news poison the well and that, when approaching this very delicate field, both media and scholars would be well advised to double-check their sources. Bernstein, Fred A. 2010. “In Pasadena, A Model for Scientology’s Growth Plan.” The New York Times, 9 November 2010. http://www.nytimes.com/2010/11/10/business/10scientology.html. Last accessed on May 2, 2017. Chiesa Nazionale di Scientology d’Italia. 2011. “Il censimento del 2006 / The 2006 Census.” I Quaderni di Freedom / The Notebooks of Freedom 1 (June-July 2011), 77-86. Conferenza Episcopale Italiana. 2000. Comunicare il Vangelo in un mondo che cambia. Rome: Conferenza Episcopale Italiana. Harrington, Julie, Martijn Niekus and David Glassner. 2014. The Economic Impact of the Church of Scientology on Clearwater, Florida and Surrounding Areas. Tallahassee, Florida: Florida State University, Center for Economic Forecasting and Analysis. “Hartley” [Hartley Patterson]. 2009. Reply to “Plockton”’s post on Operation Clambake.s message board. http://ocmb.xenu.net/ocmb/viewtopic.php?t=30372. Last accessed on May 2, 2017. Introvigne, Massimo and PierLuigi Zoccatelli. 2010. La Messa è finita? Pratica cattolica e minoranze religiose nella Sicilia centrale. Caltanissetta and Rome: Salvatore Sciascia. Introvigne, Massimo and PierLuigi Zoccatelli. 2013. Enciclopedia delle religioni in Italia. Torino: Elledici. Kosmin, Barry A. 2017. Email communication to Massimo Introvigne, 5 May 2017. Kosmin Barry A., Egon Mayer and Ariela Keysar. 2001. 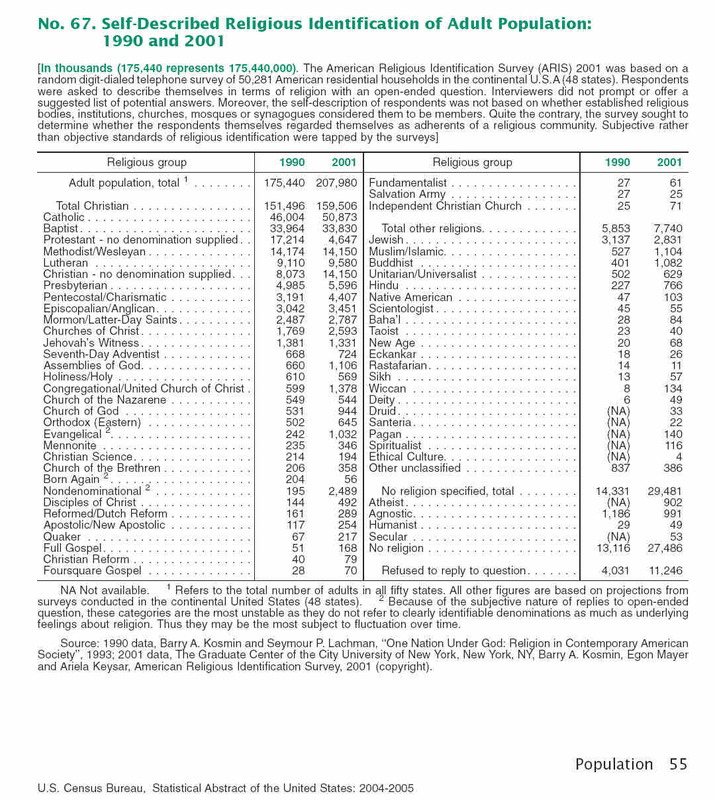 American Religious Identification Survey 2001. New York: The Graduate Center of the City University of New York. Kosmin Barry A., and Ariela Keysar. 2009. American Religious Identification Survey (ARIS 2008): Summary Report. Hartford, Connecticut: Trinity College. “Plockton.” 2009. “2008 ARIS study on Scn membership in US. IMPORTANT DATA.” Post on the message board of Operation Clambake. http://ocmb.xenu.net/ocmb/viewtopic.php?t=30372. Last accessed on May 2, 2017. Schmied, Brian. 2013. “Growth and Challenges for Scientology.” International Policy Digest, 16 July 2013. https://intpolicydigest.org/2013/07/16/growth-and-challenges-for-scientology/. Last accessed on May 2, 2017. Urban, Hugh B. 2017. “‘The Third Wall of Fire’: Scientology and the Study of Religious Secrecy.” Nova Religio: The Journal of Alternative and Emergent Religions, 20:4, 13–36.